I am working on a new Splunk deployment at work, and as part of that project, I have to build a centralized syslog server. The server will collect logs from all of our systems and a forwarder will pass them along to Splunk to be indexed. That alone would be easy enough, but I think that logs are too important to leave to just one syslog server. Sending copies of the log data to two destinations may allow you to sustain outages in half of the log infrastructure while still getting up-to-the-minute logs in Splunk. 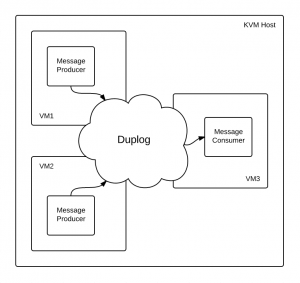 I think duplicating log messages at the source is a fundamental aspect of a highly available, redundant syslog service when using the traditional UDP protocol. That said, you don’t want to have Splunk index all of that data twice. That’ll cost you in licenses. But you also don’t want to just pick a copy of the logs to index—how would you know if the copy you pick is true and complete? Maybe the other copy is more complete. Or maybe both copies are incomplete in some way (for example, if routers were dropping some of those unreliable syslog datagrams). I think the best you can do is to take both copies of the log data, merge them together somehow, remove the duplicate messages, and hope that, between the two copies, you’re getting the complete picture. I initially rejected the idea of syslog deduplication thinking it to be too complicated and fragile, but the more I looked into it, the more possible it seemed. When I came across Beetle, a highly available, deduplicating message queue, I knew it would be doable. 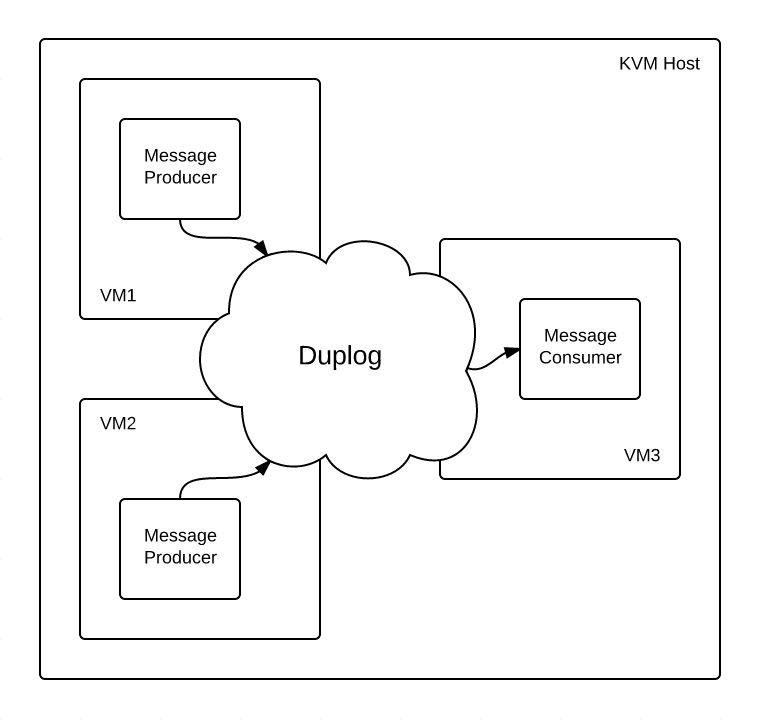 At its core, Duplog sits and reads messages out of redundant RabbitMQ queues, hashes them, and uses two constant-time Redis operations to deduplicate them. 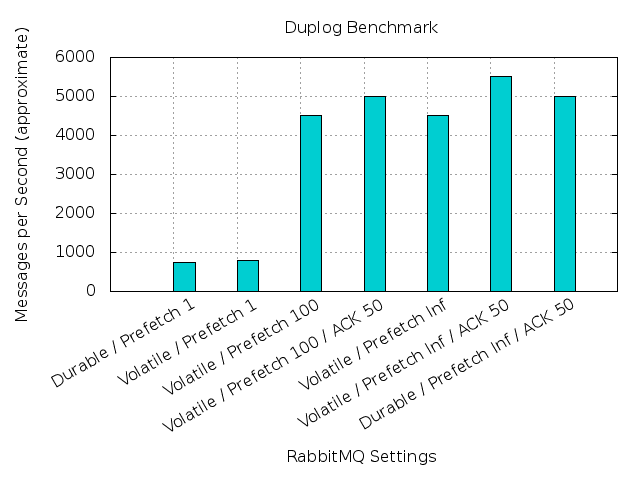 RabbitMQ makes the whole process fairly fault tolerant and was a great discovery for me (I can imagine many potential use cases for it besides this). Redis is a very flexible key-value store that I’ve configured to act as a least-recently-used cache. I can throw hashes at it all day and let it worry about expiring them. One important design consideration for me was the ability to maintain duplicate messages within a single stream. Imagine you have a high-traffic web server. That server may be logging many identical HTTP requests at the same time. Those duplicates are important to capture in Splunk for reporting. My deduplication algorithm maintains them. Looking at the architecture again, you will see that almost everything is redundant. You can take down almost any piece and still maintain seamless operation without dealing with failovers. The one exception is Redis. While it does have some high availability capability, it relies on failover which I don’t like. Instead, I’ve written Duplog to degrade gracefully. When it can’t connect to Redis, it will allow duplicate messages to pass through. A few duplicate messages isn’t the end of the world. Feel free to play around with the code, but know that it is definitely a prototype. For now I’ve been working with the RabbitMQ and Redis default settings, but there is probably a lot that should be tuned, particularly timeouts, to make the whole system more solid. I also intend to do some benchmarking of the whole stack (that’ll probably be the next post), but initial tests on very modest hardware indicate that it will handle thousands of messages per second without breaking a sweat.